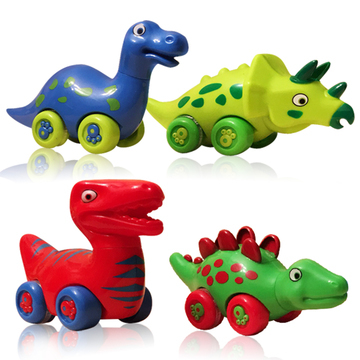 To achieve a bright, colorful nursery that will last throughout the toddler years, a dinosaur themed nursery is an excellent option. There are a lot of really neat ideas that you can do for this one such as framing your baby’s footprints and calling the artwork “Babysaurus,” a dinosaur growth chart, bedding, furniture and more. Now you don’t need to have everything to be dinosaur themed in order to create a beautiful nursery. In fact, you can even use solid color fabrics for the bedding and just accessorize. I highly recommend accessorizing with items that have a second purpose to save money. A great way to tie a theme together is through the use of toys and books in your theme. You can display them in a basket, on a dresser, nightstand or even in a cubical organizer. The toys and books are decor for baby but will get used in the near future by the soon-to-be-toddler. Nursery decor can be expensive and add up quickly. However, decor is a fantastic way to make keepsakes that you will cherish. For example, buy a My First Year Picture Frame and dress your baby in a dinosaur onesie every month to make a dinosaur themed collage of your baby. Another classic way to turn decor into keepsakes is to add your baby’s name to their dinosaur blanket. Whichever nursery design you decide on, think long term. Toys and books can add a really nice splash of color to a nursery and will still be fun and useful when that nursery turns into your child’s bedroom.